Like the child whose parents have surreptitiously removed their much-loved comfort blanket in the night, we woke this morning missing the precious consolation of a game in hand, and soon discovered that we can manage perfectly well without it. For some it provided a welcome safety net, for others the promise of future delights. Now, in the cold light of day, we don’t need it any more. Tottenham Hotspur can stand proud and tall this morning, halfway through the season and third in the league, with only goal difference separating us from second and a mere 3 points from the top. Look how we’ve grown. After the growing pains, which some called ‘transitional years’, most were less polite, last night demonstrated how Spurs have blossomed into a side not only worthy of our position in the table, but also a team others fear. Redoubtable opponents were gradually broken down and subsequently overwhelmed by a combination of sustained fluidity, movement and pace that proved irresistible. In the process, there were moments of stunning dexterity and class. It’s not just Fergie who has noticed – the game knows that right now we play the best football in the league and it’s a privilege to watch it. The performance of Jake Livermore epitomised the Tottenham transformation. Before the match, the talk was how we would miss Scott Parker. Maybe Kaboul would be drafted in to fill the gaping hole, because with Sandro out the rest weren’t up to it. Redknapp has shown faith in the young midfielder and Livermore did not let him down. He works hard and has a decent touch with quick feet, but what makes him stand out is his willingness to take responsibility. He’ll make the challenge and knock it off, then run some more, calling for the ball. Last night he refused to hide, taking not so much the easy or difficult option, but the right option, almost every time. His 99% pass completion rate tells only part of the story. He wanted that ball as if he were a veteran. Arthur, who sits in front of me, knows the family. Bouncers mostly, the men at least ( I assumed he meant the men), a cousin is a bare knuckle fighter. Allegedly, because that may not be legal and frankly by the sound of them I wouldn’t want them knocking on my door. But Jake is tough, ready and willing to step up when the going gets tough. In the first half he competed as an equal in the crowded central midfield against a well-organised unit. By the time second half concluded, he was the boss. Yet such is the talent in this side, he wasn’t the best player on the field. That honour goes to Rafa Van der Vaart. Did people once dare to suggest he doesn’t work hard enough? He was everywhere last night but was particularly and powerfully effective in the way he dropped back to get attacks going then managed to come forward to be a danger in and around the Everton box. Inch-perfect crossfield balls became the norm, precede usually by that lovely little turn he does when he controls the ball and shifts away from the opponent in the same movement, thus opening himself up for a pass, typically left-footed. His first-time shot early on nearly dipped under the bar, while on another occasion he began a move with a long pass, then dashed diagonally 50 yards from right to left to get on the end of the resulting cross, deep in the area. This was the latest in a series of high class performances from a man who has seen it all and played all over the world yet is apparently enjoying the game more than ever. Everton were neat and brisk at the start, nearly scoring from the now traditional early opening that we present to all teams at the Lane, in this instance Saha firing just wide. They lived up to their name, which is of course Everton Hardtobreakdown FC. We did well enough, Assou Ekotto’s passing finding willing runners in Adebayor, Bale and Modric. Three times we did a neat move, a few passes creating space then Luka runs left towards the edge of the box where Benny picks him out. And they say the coaches don’t do anything. However, Manu wanted just that one touch to many and Everton defended assiduously, crowding out men in the box and cutting out crosses at the near post. Two or three rushed to Bale wherever he was and it wasn’t until the second half that he could really work up a head of steam, bar one lovely move that set up Adebayor. Two penalty appeals, Manu and Modric, were rightly turned down but they signalled a shift in the balance of power as the half wore on. We managed to insert players into those channels, a sign that gradually we had cranked things up. from then on, there was only one team in it. Oddly the goal came from the Spurs player who otherwise had the quietest evening. Lennon seldom got on the ball, although he did his fair share of work off it. Pouncing on a Baines error, he cut inside. His left foot shot unsettled Howard, perhaps with the aid of the merest deflection as it passed under a defender’s body. The keeper found himself committed early and was therefore off-balance as the ball rolled forlornly into the net. Some keepers go a fraction too soon and here was an instance where Howard might have been better to stay on his toes. Quickly into our stride after the break, we proceeded to dominate for the next 35 minutes, until we became careless and allowed Everton a few opportunities at the end. Ball and men were completely in unison as the football flowed unceasingly towards the Paxton and the Everton goal. The movement, the understanding between the players, the close control – wonderful, simply wonderful, and capped with a suitably spectacular shot from Benny, thirty yards if it was an inch, rising all the way into the corner. So much to enjoy. All a blur. One move stays in the mind, Walker cleverly dummying the ball into his possession then hurtling 60 yards upfield, the chance missed. My sole regret is that goals didn’t come from those many moves that deserved a goal and I would have liked more to have emerged from the times we had the ball in their box, rather than rely on a thunderbolt. Manu was not at his sharpest and at times we overplayed in the area, Everton’s massed ranks gratefully blocking and tackling for 90 long minutes. Our opponents have organisation and passing that no so long ago I would have envied. I’ve remarked before about my affinity for them and the parallels between our two sides. Both have an illustrious heritage and loyal, passionate fans who have suffered as city rivals have eclipsed them, then fallen further behind as the money follows money. However, we have moved on. Everton for all their hard work and good touches posed little threat in the final third. Their more attacking approach in the last 10 minutes suited them but it was too late and by then Dawson and Kaboul had mopped up their efforts to the point where the latter had freedom to join the attack. It’s good to see Daws back. He has his limitations against pace but then what centre back doesn’t? (The correct answer to my otherwise rhetorical question is Ledley King). That chest proudly puffed out is a reassuring sight, and he was especially strong at the near post. In the second half he was felled by a shot that hit him square on the head. Toppling backwards, which is a long way, he picked himself up in time to win the header from the resulting bouncing ball. That’s attitude. Friedel didn’t have a real save to make but made everybody feel better just by standing there. Benny’s passing and support play were outstanding, never mind the goal. Luka was busy and involved but he’s not at the dizzy heights that represent the peak of his form. Rafa more than made up for him. Bale’s runs were unstoppable, at least by fair means, and both he and Walker made good use of their pace as the space opened up an increasingly bedraggled Everton defence. Later on, Luka picked up possession and carefully passed the ball into touch. He received a polite ripple of applause, hard lines, good attempt. Now that shows the degree of satisfaction in the stands. No inflated expectations – let’s not worry about the title. 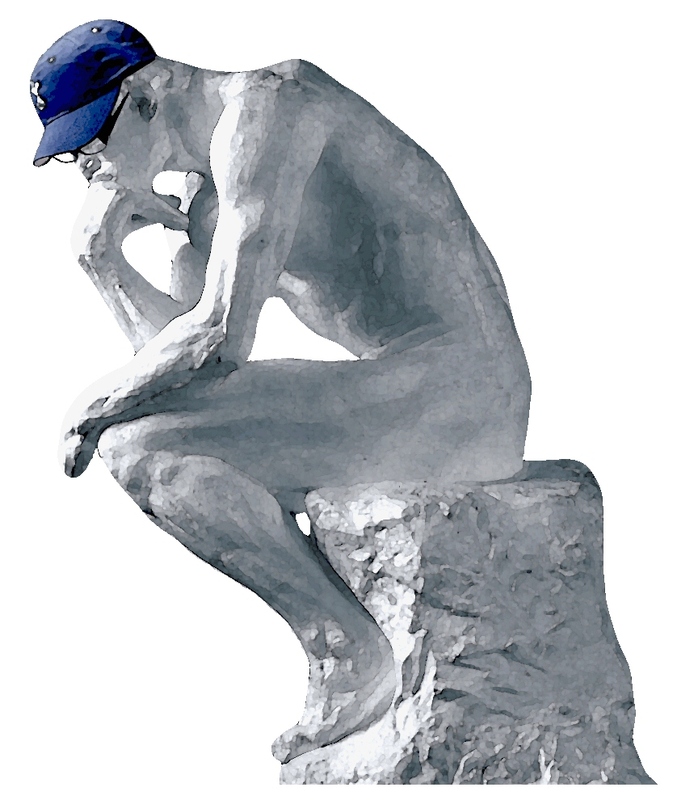 Sit back and enjoy the challenge, this team is as good as anything I’ve seen for at least 30 years. A pleasure and a privilege to watch them grow up. Edit: I am indebted to my friend Rich who saw Benny being interviewed on French TV. The reason he wears odd boots is that he can’t be bothered to find a sponsor so he bought 2 pairs for himself. He ruined one boot so just decided to wear odd ones. He is a top man. For any regulars mortified, nay bereft, at the lack of a match report for the Cheltenham game, I didn’t see it, couldn’t find a stream and decided not to either pretend or concoct a witty post on shopping in TK Maxx. By the end of that, I had nothing left to give. Very true and easy to overlook. We are just great to watch, I find myself chuckling with pleasure at some of our passing, our speed and every players ability on the ball. It’s rare that we just hoof it if there is any chance of a quick ball that leads to another attacking wave. Yes, the league, yes the FA Cup, yes we need to keep winning. But enjoy the journey as well. It is a heck of a ride. very good article, although I would have made benny man of the match – apart from his involvement in the goals his confidence in possesion and excellent passing were superb. having said that it’s a team game and the great thing is that there were no weak links, even with key players injured. enjoy the ride indeed! It’s great to have so many candidates for man of the match. Some time ago a blog discussing promising Spurs youngsters forgot to mention Livermore. last night was the perfect response. The lad was superb and is more than adequate cover for Parker and Sandro. Living in CanadaI I could not see the game live but taped it and half covered my eyes waiting for the bubble to burst as I watched it late last night. It did not and the dream is still alive. Lets not down-play this victory, without King, Gallas, Parker, Sandro, Defoe plus other fine squad players this team was great. I saw the great 60s Spurs teams play and this team was ahead of those. It is a joy to see them play. 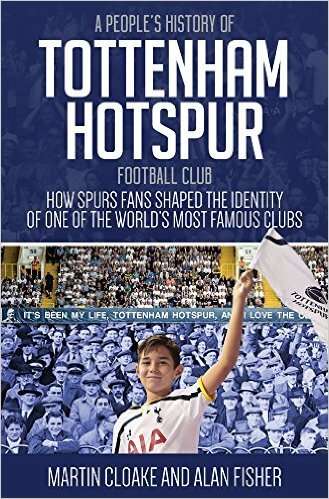 I’m discovering that TOMM is read by many fans worldwide, really appreciate that, I’m amazed and delighted by the passion for Spurs all over the globe. Someone on the radio last night was talking about how the real test was when we have injuries. I shouted back that this time was now! And we play like this all because of Peter Crouch…or rather, his absence. Amen! We still have that to thank Peter for…. It’s a complete side, isn’t it? Every player is a true Spurs player, playing with skill.This is just perfect, any criticisms ridiculous when you consider some of the players who have worn that Spurs shirt in the 20 odd years I’ve been watching – Scott, Nethercote, Dozzell, Hutton; the list goes on. It also feels right that Crouch has moved on, that he’s not part of this. He was a good professional, worked hard, scored goals but it never felt right. It’s great that we’re so near the top, great that we’re winning but the fact we’ve playing in the way we do makes it special. We might win 1-0 but it’s not the negative 1-0 to the Ar***** manner but pushing forward in a positive manner that any football fan would want to see. I laughed at a tweet last night that said we were now safe from relegation. It was funny in its own right but, as we all know, there’s always that little nagging doubt in most Spurs fan’s mind that it can all go pear shaped. I still have it every game and every game, we hold on. Last season was fantastic but, for the Inter and AC, there was the Wigan and Wolves results. This season is a step further than that and Fergie’s endorsement means a lot. It’s just a pity Bill Nicholson isn’t here to give his. I too have seen that lot, and have those nagging doubts…. The problem with Crouch was not so much Crouch’s ability or temperament but that his presence dictated Harry’s tactics. How often did we see the hopeful long ball to the head of Crouch last season? Ada is mobile and has good control and wors hard. We all would love to see his finishing a little more deadly, but he leads the line well and has become an important cog in the machine. Exactly. The subject of much agonising in these very pages last season. Now we couldn’t do it without him. Totally agree that Rafa was the link between defence and attack. Not convinced that we need to supplement the defence or midfield but am concerned that an injury to Adebayor could cost us everything as Pav is not the answer. If Levy can negotiate a deal on that missing person, then anything is possible. If we sign one player, it’s a mobile striker. Pav for the rest of the season terrifies me. Manu looks so frail sometime. For once, the ‘one big signing’ argument is correct for Spurs. Having heard great things about Jake Livermore’s development in recent seasons, largely on loan in humbler surroundings, I also had some misgivings when he has played this lately… perhaps not as disparaging as some I’ve seen expressed, but still there. The combination of Parker and Sandro hors de combat (as Benny and Billy G might say) worried me especially as our “comfort blanket” was due to vanish last night. It was therefore a delight slowly to suspect, realise and then believe that even without our proven men of mettle, we were not going to stutter or cave in. Although not looking quite as solid as some recent games, we certainly had and did enough to check and then overcome a reasonably able top ten side. I’ve watched Spurs since 1960, at first occasionally (no MOTD then and my mum was adamant that at seven I was too young to travel from Wealdstone unaccompanied), but reasonably regularly at WHL and always on TV from 1966-67 onwards. This team IS better than any I can remember. I can recall a few moves and I’ve seen film of the Double team and those of the following couple of seasons. I’m now gaining conviction that in overall quality, there is more depth, skill, man-to-man support, inter-player understanding and anticipation as well as confidence and self-belief than I have ever seen on a regular basis in a Spurs team/squad. It probably applies also to some areas of fitness, speed, discipline, positional sense, value for money – but possibly not to susceptibility to injury and recovery times, which is probably just as well, given the investment good quality players represent in time and £sd. And this all combines to produce the most attractive of football – way beyond the dreary and unprofitable route one stuff to which David (above) alludes. As well as the chamber of horrors Peter Domican skimmed. For me, perhaps the one feature that typifies this is the ease and speed with which our players now trap, move and distribute both “inch-perfect” but also difficult passes and interceptions. It’s becoming a specialised art form in itself. Do any of the stats available record this aspect in any way? OK… what I’ve written is probably (being still a Spurs pessimist despite everything) the kiss of death to any title aspirations we may have had. But, hell, no! It’s great to be here at last and it’s been a long wait! I’m enjoying the ride. Just for once I’ll believe there is a heaven up there, and I hope Billy Nick has still got great eyesight! Exactly so. It’s the movement, interplay, the ball control, and everything working. We’ve spent so long assuming that it’s pot luck that a pass will get through, then if it does that it doesn’t sail away after bouncing off a Tottenham boot. Times are changing, and glad that you can be around to sit it, czyrko. While we are handing out plaudits, can I give one to Modric, not for his brilliance, which we all know about, but for his integrity. Despite the apalling behaviour of Chelsea, their fans and the media to pressure him to move in the Summer. He has stood his ground, no doubt with some disappointment in terms of financial rewards, and has acted with integrity like a real man giving his all for the team, when it could have been so easy to behave like Berbatov or Tevez.. I am reluctant to generalise, but it seems our Croatian trio are all great guys apart from their soccer talent. I thought he would settle after the window needed for all the reasons you say and glad I was proved right. I worry about him – he was grey with exhaustion after the West Brom game. Not at his best at the moment but more than good enough for me. Lovely write up Alan. Agree about VDV, just wonderful to watch recently. We seem to have learned the art of patience, which is a very difficult one for even the best teams to master, of which we are now one. Good to see Livermore play so well last night, I like a local, home grown one or two in there. Wait til they get injuries, they still have to play at XYZ (not realising XYZ still have to play us! ), wait til they have to break down teams that park the bus etc etc. Whether we can win the league or not, too early to say, still one half of a season to go, but I think we’ll be up there for a good while yet. Alan, for what it’s worth, you write a marvellous blog. Keep it up. It’s worth a lot to me so thanks for taking the time and trouble to drop by. It becomes harder and harder to find the time to write because life gets in the way, dammit! So this means a lot. Ashley, that’s very kind of you. I often pay tribute to the regular commenters here, so take a bow. Hope you can join them. Love the blog by the way, the most thoughtful and mature by some distance, replies included. The future’s white, the future’s lillywhite!!! To Dare Is To Achieve!